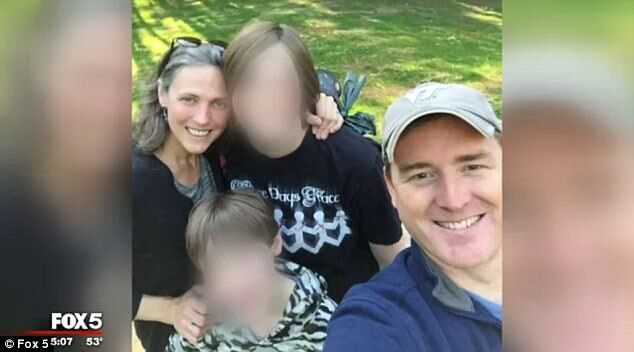 A teenager has been charged with fatally shooting a couple in their northern Virginia home after they allegedly encouraged their daughter to break up with him due to his neo-Nazi views. 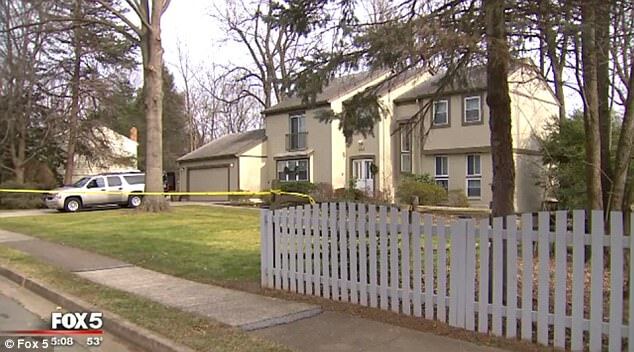 Police say the 17-year-old shot himself after shooting Scott Fricker, 48, and his wife, 43-year-old Buckley Kuhn-Fricker, on Friday in their home in Reston. He is currently hospitalized in life-threatening condition. 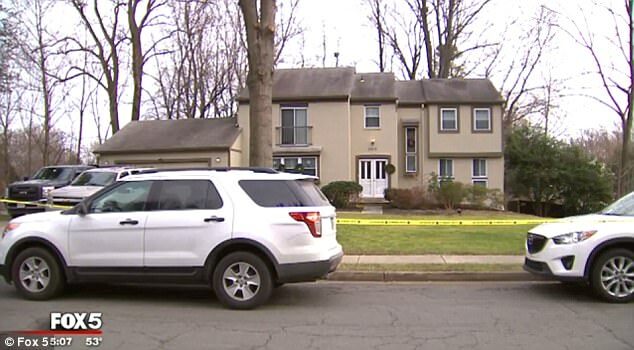 Police in Fairfax County, a Washington suburb, announced Saturday they filed charges against the teen. His name wasn't released because of his age. 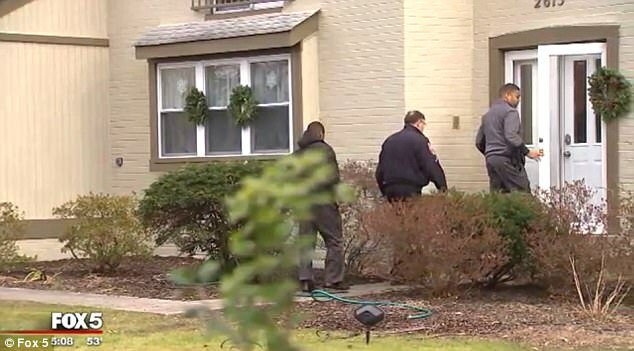 Police say the teen knew the victims, who confronted him when he entered their home. Kuhn-Fricker’s mother, Janet Kuhn, said her daughter has an adult son who lives on his own and a 16-year-old daughter from her first marriage. 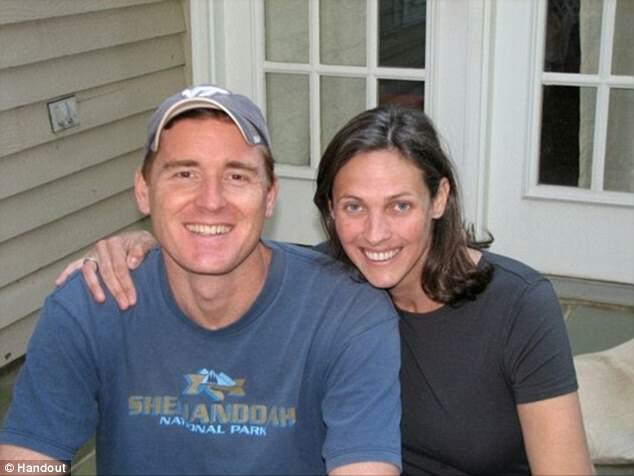 The girl and the couple’s 10-year-old son live in the Reston home. 'He was very friendly. Played out at the [basketball] hoop all of the time. I am just sick about it,' a neighbor driving by the Fricker's house told WTSP. While police comforted the boy, neighbors saw another person who was injured come out on a gurney but could not tell who it was. It is believed to be the shooter. Scott worked for the US Bureau of Labor Statistics while Buckley was an attorney and author who specialized in elder care and end-of-life issues. She started a company to help the elderly in 2005 called Buckley’s For Seniors, which she ran from home. Four months ago, the Fricker family moved from a smaller home in Reston into the bigger one on Black Fir Court where the fatal tragedy occurred. Police say several people were inside the home when the shooting happened. Detectives took away a white Honda CRV with North Carolina plates.